I tried these out the minute I got home, the concealer has a thick creamy consistency however feels very light under my eyes which is fantastic, it doesn’t crease, and blended beautifully when I used a brush to apply. I am using the concealer to actually conceal blemishes on my face rather than highlight ( I would have bought it a shade lighter for highlighting). I then went ahead and applied my foundation and the rest of my makeup before applying the finishing powder, the powder was so soft and light weight against my skin, I felt my skin could breathe, and that my pores were not going to become clogged up. The finishing powder did not cling or clump on my skin, it didn’t give much colour at all on top of my foundation which is what I wanted, and it did not mix with my foundation which I found some powders have done. I wore these two for 6 hours and I have to admit my skin has never looked better, I didn’t look like I was wearing makeup, instead I had a natural complexion which was lovely. None of my makeup moved, the powder did not come off in patches and my dark eyes stayed bright all evening. 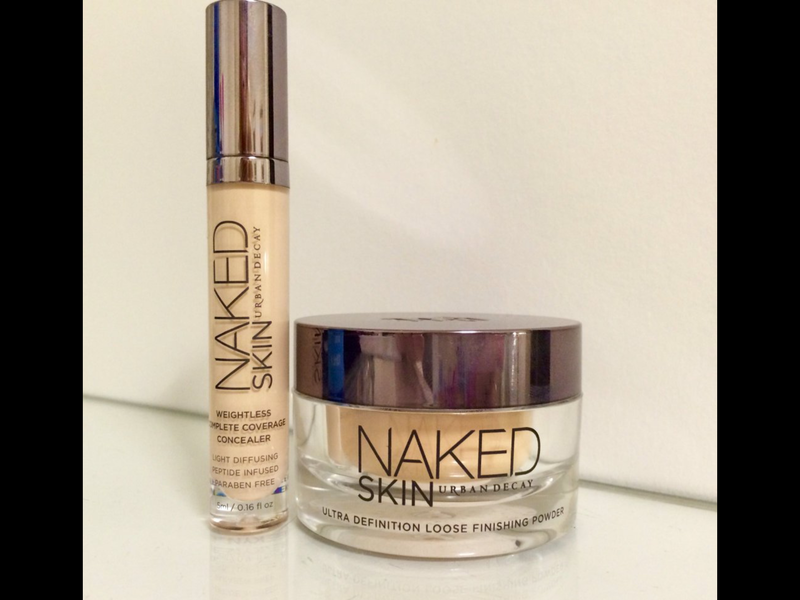 I haven’t used any high end products apart from Smashbox and I was not disappointed by Urban Decay, they have blown me away and I am now officially addicted to these two products, my skin has never looked better, definitely a range I would recommend to you all. I’m going to try it out some more and tell you all more in detail.